In the early 1990s, I published a suspense novel called Eyes under the name Chris Hunter. Now I'm thrilled that it's available again with a striking new cover! Losing everything can make a person do crazy things. No one knows that better than Connie Wilson. The shock of suddenly losing her fiancé, Alan, in a car accident, is almost too much bear…Until Connie comes up with a plan to stay close to Alan forever. And she's finally found just the man to help her. There's only one thing standing in her way: his wife. She's smart, beautiful, and has exactly what Connie desperately needs. 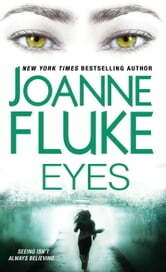 Connie will just have to be smarter, more seductive--and stay one step ahead of a detective who's as determined to save her as Connie is to destroy her. . . 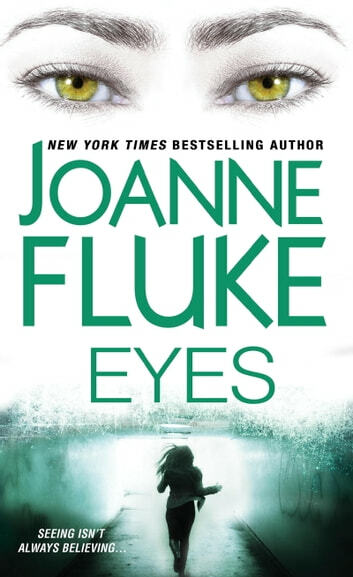 If you've enjoyed my earlier novels like Final Appeal and Fatal Identity then I believe you're going to love reading Eyes! It was ok. I found it dragged and skipped a few pages here and there. All in all it was a good tale just drawn out and boring at times. A very intriguing storyline with interesting characters. The murderer will take you on her twisted road of crime right to the end. I enjoyed this book from start to finish. Cruelty started this chain of events. It is hard to believe the meanness and cruelty of the Stanford's. Insanity certainly comes in many forms and this lady had the intelligence to mete it out. Certainly glad of some happiness at the end!